At some point, a Warner Bros. executive watched Gremlin's film, a film about Gremlins and thought : "Ah, that has too many Gremlins." Yes, what is this, the film Gremlin ? Director Joe Dante recalled that during the filming of the film studio notes came to the Gremlins were "very unpleasant" and there were too many of them. The executive producer of the film responded with a sarcastic question as to why they did not cut the Gremlins and labeled the film People . Fortunately, this producer was Steven Spielberg, so the studio retreated a bit. 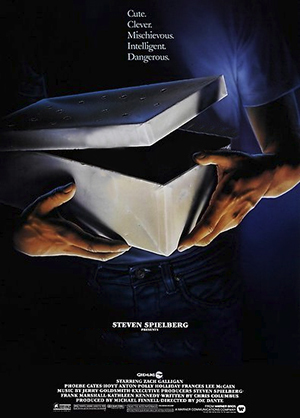 After all, they just did this weird little project to make Spielberg happy. Warner Bros. just stopped annoying Dante and Spielberg over the Gremlins when they saw test audiences cross the hideous abominations, realizing that they could actually make money from this.